Apologies for the late posting of the results. My wife took me away the weekend for a surprise birthday treat and it happened to clash with the final of the race to 1LTC. So, here on day 20 we can see that Starpool actually won the race to 1LCT buy mining the most at 1.13LTC in 20days. If we are to include the un-exchanged coin that is waiting to be changed to LTC then we see Mining-Dutch win with an estimated 0.0245BTC. We wont see for another day or so what the final LTC value will be, so I will post the final exchanged coin values then. We may see a shift in the leader board. 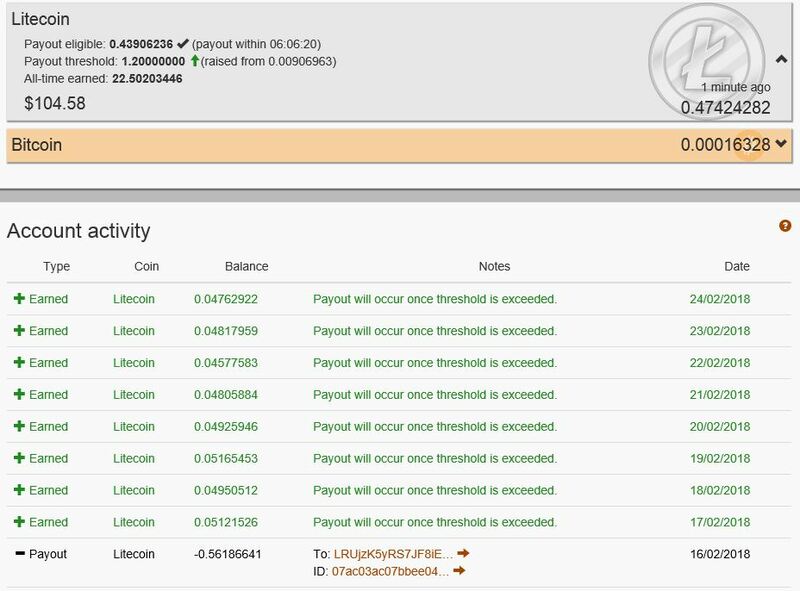 The winning pool as we see them pay-out 1LTC the first but with 0% fees at the moment we will need to factor in a 2-5% reduction in pay-out to cover the pool costs. 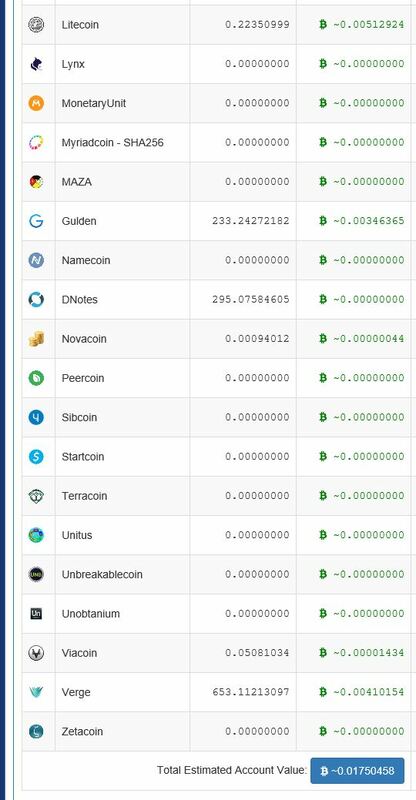 Looking at the BTC value mined MD would be in the lead, but lets check in a few days once the coins are converted. Coming in last place for both combined and LTC coins we see the non-converting MultiPool. I still need to manually send all my alt-coins to Bittrex and exchange them for LTC, this just seems like hassle to me and I don’t see the point of not have an auto exchange setup for the miners.